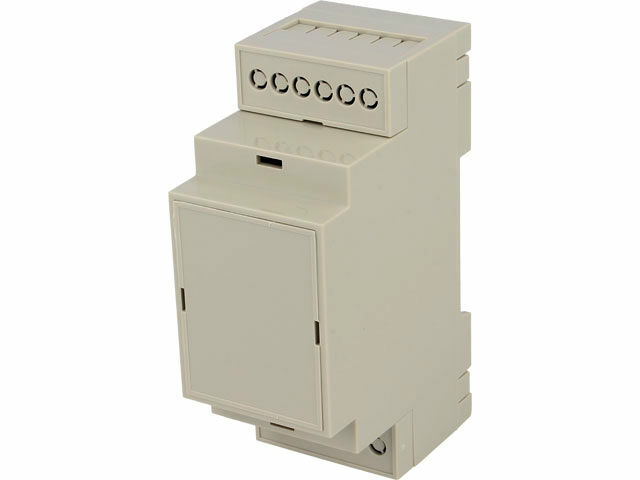 D2MG is a high quality DIN rail enclosure from GAINTA. It’s made of ABS, in compliance with UL94V-0 fire safety standard. The dimensions are 36.3 x 90.2 x 57.5 mm. The D2MG can be used for mounting a special prototype board – D2MG-PCB-A.